The senior went undefeated among collegians at distances from 1,000 to 3,000 meters during the regular season, and she ranks number two in the country over 3,000 meters. 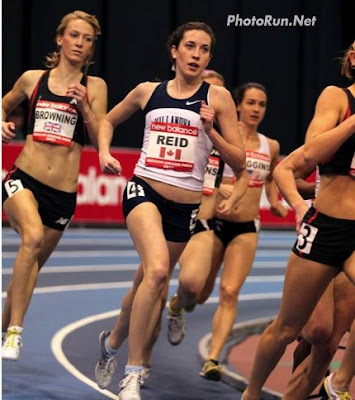 Reid won the BIG EAST Conference title in the 1,000 meters in meet-record fashion, as well as running on the winning 4×800-meter and distance medley relays. Reid is from Newmarket, Ontario. For all the regional winners, click the title of this post.